Any one going to buy one? Don't have anywhere to put one. Great initiative, hope they raise heaps of $$$ for the hospital. Might be a bit big for the flat... We are actually after an old Poma - Anyone have one floating around anywhere? Hopefully they donate the number one chair to the museum. mx_boarder, person s and di6loc like this. What do you guys think the average auction price of each chair will be?? I Don't know. Thinking of buyin myself one, how much do you reckon? Could be quite expensive for important numbers such as 1, or 8. Yes i hope to. How much do you think? I bet that 8 goes for the most, tells you a lot about the mountain's changing demographic. Personally, I'd really love to have one. As someone with a long term interest in ropeways, to me this is the most important surviving chairlift in Australia after the Mt Perisher double, so it's nice that parts of it will be preserved. But, I've already accepted that there is no way I could afford one. Instead I reckon they will all sell to seriously rich people who will buy they as a philanthropic act or just to show off. I doubt all of them will be reused for things such as garden seats, many will just be put in sheds and forgotten about. But that's not such a bad outcome as the buyers will be donating serious amounts to the Mansfield Hospital which is a better result overall than a few ropeway buffs like me offering a couple of hundred dollars each for them. When falls auctioned off old eagle chairs last year, i think the cheapest was $650. They didn't put them all on the block. There's 66, that's a lot, I think they will go for less than you think. Could just go down the road and get some from BB2 which are lying in the ski company rubbish heap. I know somebody who has a couple of Burnt Hut or Helicopter chairs at their home from that pile - they did seek lift co permission first in case some was thinking. This has got me thinking, Kellys Cafe at Baw Baw has a chairlift chair on their front porch for customers to sit on. In the highly unlikely event I could afford one, I was going to suspend it from a redundant clothes line bracket and use it as a garden seat. However, I live in a run down, 130 year old Victorian terrace and the ceilings in the front of the house are over 3 1/2 metres high (or 12 feet in American measurement) so perhaps I could attach it to the ceiling as a rather arresting "sculptural element" to confront people entering the house... or perhaps not. But doing that would help to distinguish my house from 100,000 other single story terraces in Melbourne that look exactly like it. So what would be the best ways to use and/or display a chairlift chair out of its natural environment? 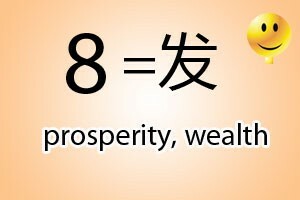 what is so special about number 8? The number 8 means nothing to people like you or me, but it means a lot to the people Jellybeans accurately describes as "the mountain's changing demographic". Are there any old poma's on that pile? Nope - I suspect any remaining poma bits vanished many years ago. While not a state secret, it might be an idea to not broadcast it. Pm if it is okay please? Many peoples dignity might be found in that trash pile from dodgy nights in hooha. But is chair number 1 the original chair from the beginning?? Hopefully, i was talking to the partner the other night asking how much she is willing to spend, it made for a good discussion when she told me, then i said i was going to go 50x what she wanted to pay, hopefully for my back pocket they go closer to what she wants to pay. I registered assuming it was an on line auction and hoping I could pick one up at a modest price. However it's an old fashioned auction where people have to be on site and bid in person. I can't get to Buller on Saturday, so I won't be getting one, even if they sell at a price I could afford. Thank you for registering for the Buller Ski Lifts auction of the Blue Bullet chairs, to be held at Mt Buller on Saturday 22 September at 12 noon. Location: ABOM, Athletes Walk, Mt Buller. Auction commences at 12 noon. Each chair will be auctioned individually by number. Bidders may bid on more than one chair. All funds raised from the auction go to the Mansfield Hospital Auxiliary to provide essential medical equipment for the community. To secure your chair payment must be made on the day. EFTPOS facilities will be available on site to receive payment. All bidders are responsible for the collection of their chair/s and will be advised of the nominated collection day which will be after the close of the snow season (after 7 October, 2018). Buller Ski Lifts will contact you shortly with confirmation on the collection process and specifications of the chairs so you can arrange suitable transport. Blue Bullet was the first Doppelmayr detachable chair of its type when it was installed in 1984. By the end of this snow season, the lift will have carried a total of 17 million passengers up Bourke Street during its 34 year lifetime. I registered assuming it was an on line auction and hoping I could pick one up at a modest price. However it's an old fashioned auction where people have to be on site and bid in person. That will have the effect of lowering the prices substantially. Is anyone going so they could bid on behalf of others here? PM me if you wish. I wanted to bid by phone but i'll now be driving up in the morning, bidding and driving home. Alternative theory is, to encourage a few regulars who were otherwise done for the season to head back up and spend monies for one more weekend. That way Buller makes bank too. I agree with CM - demand may not be as high as you think. There’s people on the hill who could buy all of them three times over and not notice the money gone, yet don’t really have an appropriate place to house one. Re no online auction we wanted this to be a festive event, held during Pond Skim, for the community. Core Buller people are here every weekend and they're the ones who will be bidding. I’m told there was a $250 reserve but that’s been upped to 5 hunge...! ... unless the Big Money People are just jumping in early to show off? I'll console myself that at least the money is going to a worthy cause. Is chair #1 up for auction? Rino paid big pre auction. miss_b_haven, JoeKing, LiveToSki and 1 other person like this. Wow that’s more than I expected!! Chaeron and mx_boarder like this. Mate, I said you ought to get into the share market not the chair market. Geez. Big time. Just overheard some high ups from the hospital discussing what the hell to do with all the money! Good problem to have. Chaeron, djam and CarveMan like this. To be hung from bedroom ceiling I trust?